Moths, fungus, bats, birds and an array of pond and sea life were just some of the many finds at this year’s ‘Bioblitz’. with New Forest National Park Authority Chief Executive Alison Barnes. The 24-hour ‘wildlife bonanza’ aims to record as many species as possible in the New Forest National Park. Once again it revealed some exciting finds. 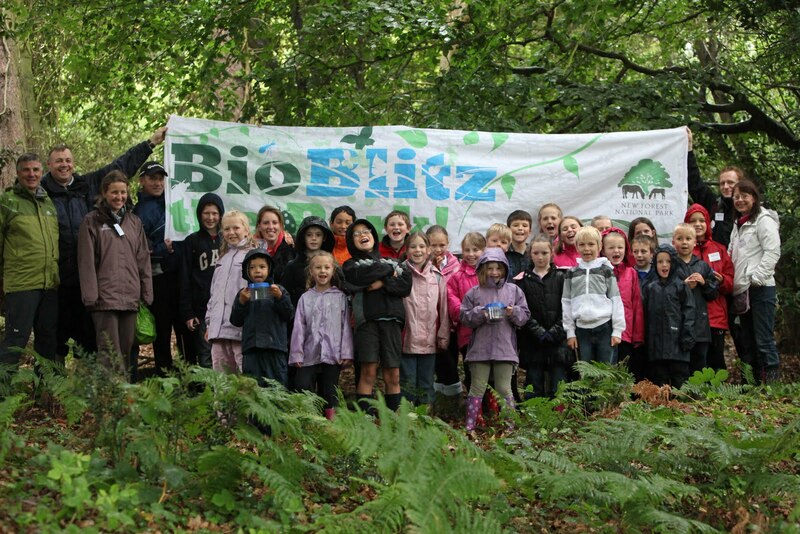 Experts were joined by excited families and wildlife enthusiasts at Lepe Country Park, Denny Wood and Bolderwood. New Forest National Park Authority Ecologist Ian Barker, said: ‘Despite the downpours we still had a really good turn-out of people. We recorded over 400 species by the end of the 24-hours, but we hope this number will increase over the next week or so once all the records collected have been entered into our database. The 24-hour wildlife dash started at 4pm at Lepe Country Park with a woodland wander and beach safari with pupils from Blackfield Primary School. This was followed by an evening bat and moth hunt until midnight and an early morning birdsong walk - finding birds such as hawfinch, firecrest and crossbill. The event finished with a fun-filled activity day at Bolderwood that was packed full of guided events such as pond-dipping and searching for wildlife on the Forest floor. Experts from the Hampshire Biodiversity Information Centre, Hampshire County Council, Forestry Commission, the Hampshire Wildlife Trust and the National Park Authority’s own ecologist were among the specialists helping people of all ages to discover the Park’s wide variety of plants, fungi and animals. The data will be used to inform the National Park Authority’s work on how best to look after the New Forest wildlife. All the events were profiled live on a Bioblitz blog which can be viewed at: http://bioblitzthepark.blogspot.com. 5. A tiny white bivalve called Loripes lucinalis, only 1cm across, native to northern Europe, and found at Lepe. Found by Jenny Mallinson, the last New Forest sighting was 40 years ago. Thomas Bell with his find a ‘peppered moth’ at the Bioblitz activity day at Bolderwood.